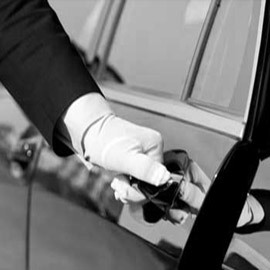 Look no further than ClockTower cars if you’re looking for a company that dedicates itself to providing an impeccable standard of customer service, maintains a professional relationship with our clients and offers competitive rates in comparison with other local firms. Although only a small village in Surrey, scenic Cobham has a lot going for it, especially in terms of its history. Cobham Conservation Area has fourteen statutory listed buildings amongst which are Church Stile House, Pyports and Cedar House, owned by the National Trust. The River Mole provides the ideal setting for Cobham’s most well-known landmark, Cobham Mill, that sits on a site dating back to the Middle Ages. With great road links to and from larger towns such as Guildford and only 17 miles from London, a lot of our clients use our service as a stress-free alternative to public transportation. When it comes to our customer care, our service is unbeatable and this is something that, as a company, we pride ourselves on. We are always happy to assist our customers in their needs, whether that involves helping them with heavy airport luggage or picking up business clients for an important meeting. All of our drivers work to the high standards of DVSA specifications, are fully trained in Disability Awareness and have top-class knowledge of the area so that they can quickly identify the best route for your journey. It makes no difference whether you need a minicab service for a special day or if you’re hiring one of our cars for something as simple as a courier service; ClockTower Cars is here to help. With us, comfort and value for money go hand in hand, and we have a whole fleet of vehicles suitable for any service you may require. 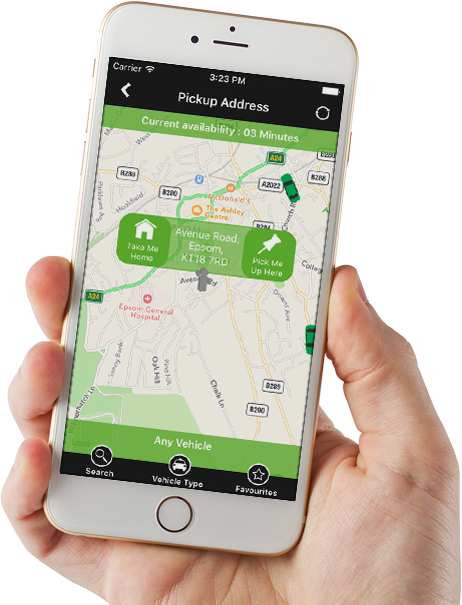 By downloading our free ClockTower Cars app, you can manage your bookings online, pay for your journey and even choose the vehicle you’d like to pick you up. With fitted GPS in all of our vehicles, we allow you to track your driver as soon as they set off so you know exactly when they should arrive. The app is available for both iOS and Android software. 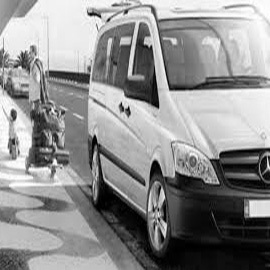 From the start of your booking until the end of your journey, we always give 100% which is why we are used by regular customers and professional clients alike. At ClockTower we know how important it is for our customers to feel safe and secure in our vehicles which is why we work exclusively with drivers who are fully trained and vetted and have years of experience in the industry. To book your car today call 01372 727 727 or alternatively, click here to book online. We are available 24/7. This is the first time I’ve used ClockTower Cars but I’ll definitely be saving their telephone number in my phone so I can use them again. The service far surpassed any I’ve received from other local firms. I was wary of using a different taxi firm because of my disability but the drivers at ClockTower were really helpful and assisted me in and out of the vehicle without me even having to ask. Me and my friends used ClockTower cars when visiting Cobham from London and we were impressed with how quickly it arrived and how easy it was to book online. There’s no way I’d ever use another company to get me to and from. The drivers at ClockTower know me now and are always chatty with me and helpful when I’ve done my shopping.